Time to break some things again! With the footprint of the new addition complete, it’s time to connect this to the main triangle. 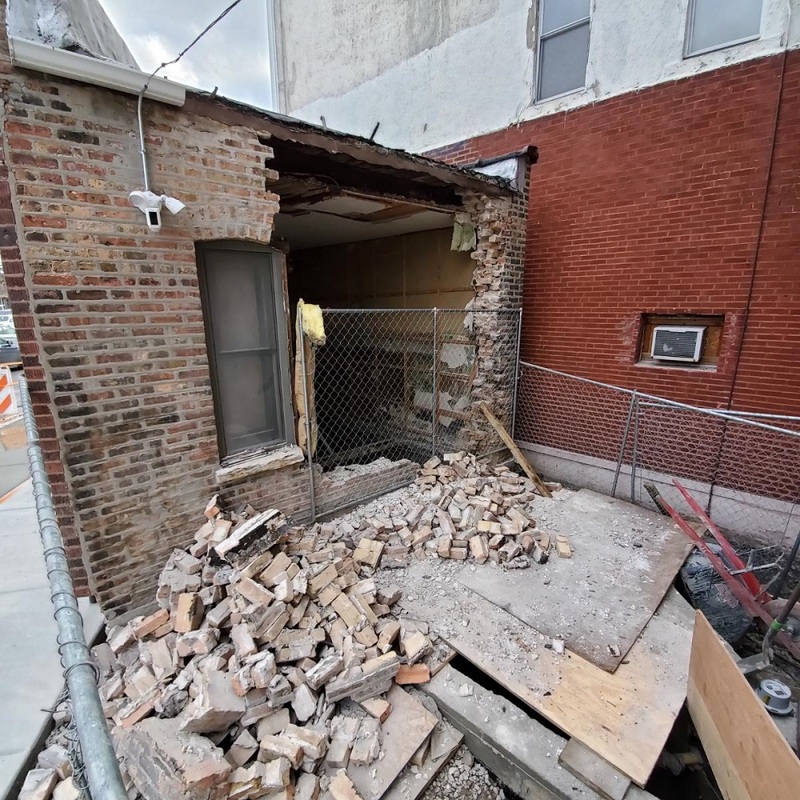 A large opening is being made in the brick wall at the north end of the triangle, so that we can take advantage of the new floor area being created by this entry and stair. 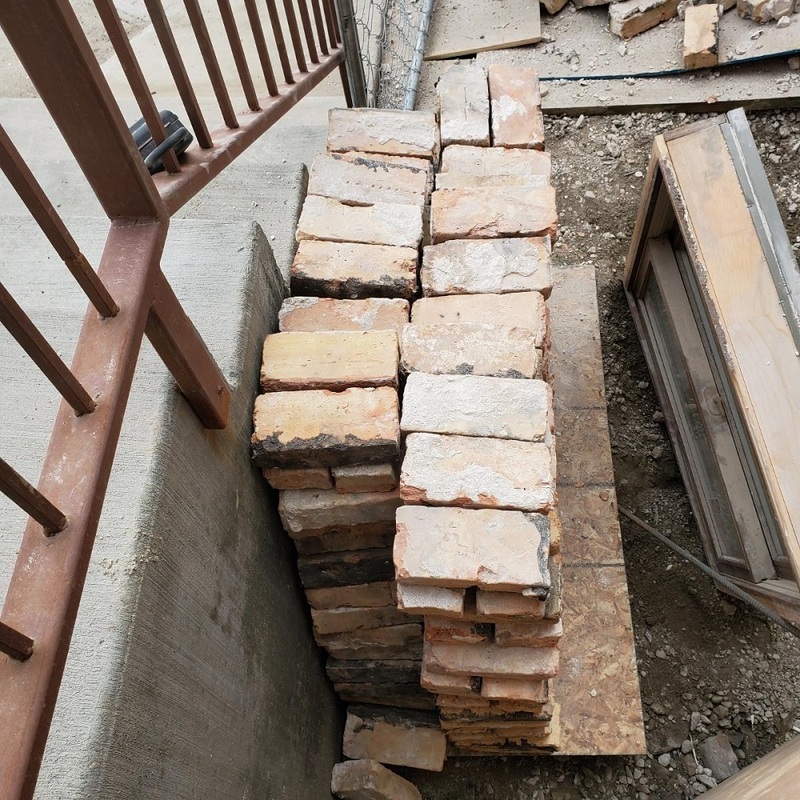 All of the brick removed from this wall will be reused on the new addition, extending the life-cycle of this durable building material. 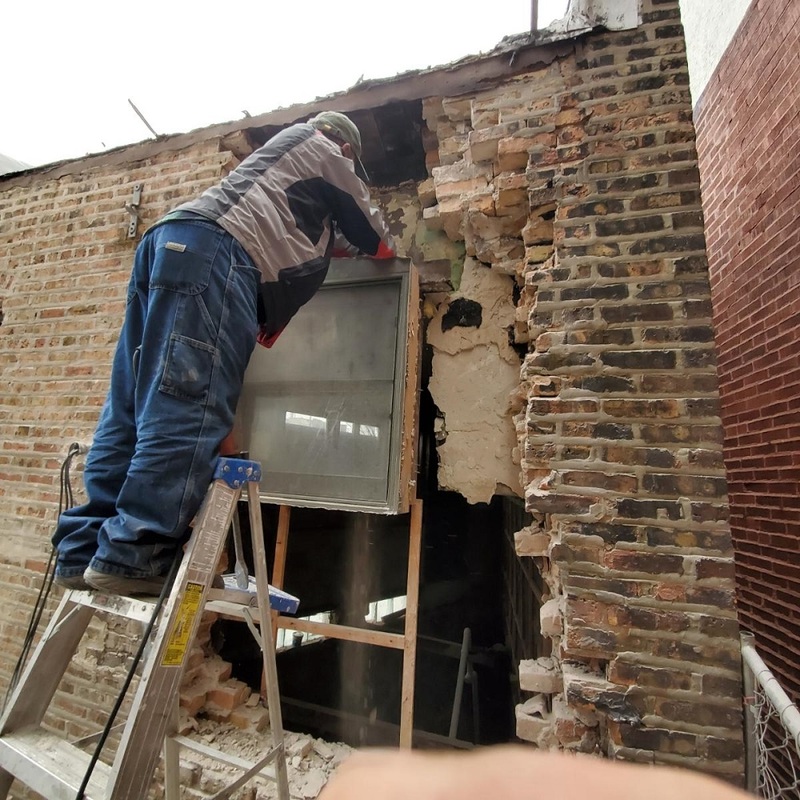 Even the windows were removed in one piece, and will be sent to another job site for re-installation. 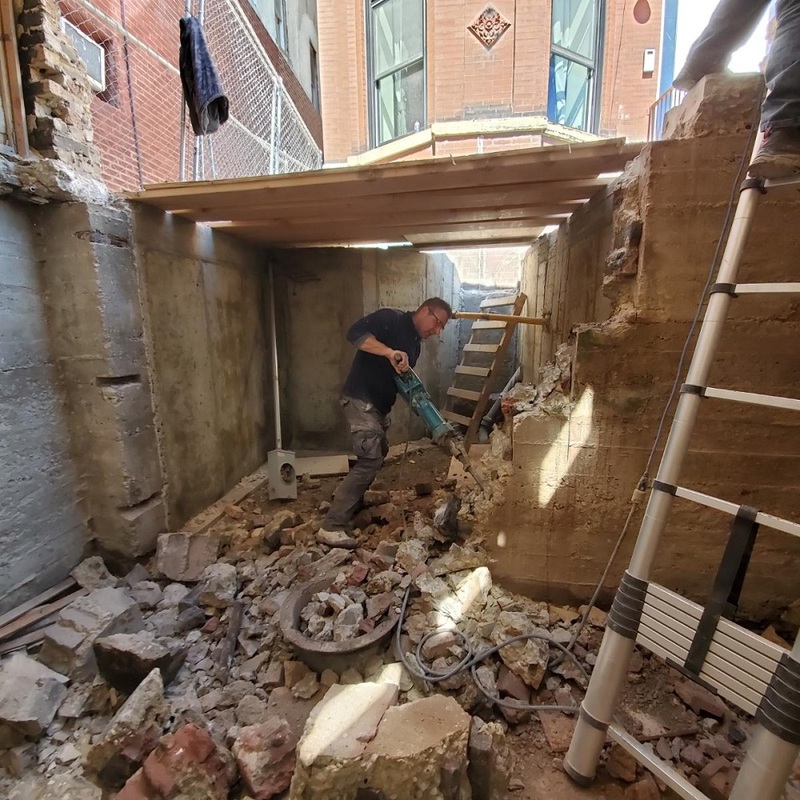 The day after the brick was removed, the team made another quick pivot & began to bust up what remained of an old concrete foundation wall along this north edge of the triangle. This was easily the loudest day our tiny job site will endure. With the first floor currently missing and a huge hole in the north wall, this tiny triangle is feeling pretty spacious today!